Pirates fear the Kraken, Jules Verne's monster in "20,000 Leagues Under the Sea" ruled the deep, but some folks just love an octopus. This one makes a surprisingly comfortable handle, and you'll love the detailed suction cups on it's arms. 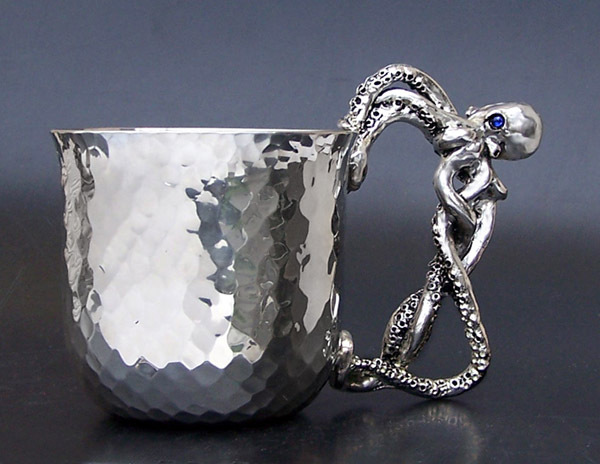 We make ours by hand from lead-free pewter, safe to handle and drink from. The cup holds 16 oz.